As Sidebar readers know, for decades Cincinnati's Heimlich Institute has funded and promoted violative offshore human experiments in which patients suffering from cancer, Lyme Disease, and AIDS have been infected with malaria, a crackpot cure my father called "malariotherapy." For decades my father's organization also put the public at risk by hyping a string of baseless, experimental, thoroughly-discredited medical treatments such as claiming the Heimlich can revive drowning victims, stop asthma attacks, and cure cystic fibrosis. His so-called institute -- which, according to IRS filings, hasn't had any employees for nearly a decade, currently has $1000 in assets and is apparently nothing but a website -- has been a subsidiary of Deaconess Associations Inc., a healthcare conglomerate in the Queen City, since June 1998. A few years ago, Deaconess launched a new venture, a first aid training program called Heimlich Heroes, intended to teach the Heimlich maneuver to kids around the country. 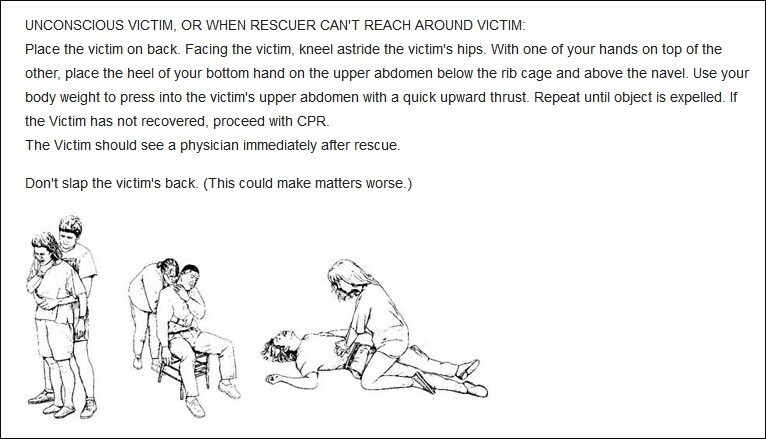 As Sidebar readers also know, Heimlich Heroes is teaching kids -- here we go again -- to perform "the Heimlich" to revive unconscious choking victims, an untested experimental medical treatment that's not recommended by the American Red Cross or the American Heart Association. Like his other bogus medical claims, apparently my father pulled this out of thin air. So what happens if a Heimlich Heroes-trained kid hurts or kills someone using the treatment? Page down or click here to download a pdf of both letters.